Andrew Lynch is the lead mentor of team 2587 the Discobots and a close friend of Spectrum. 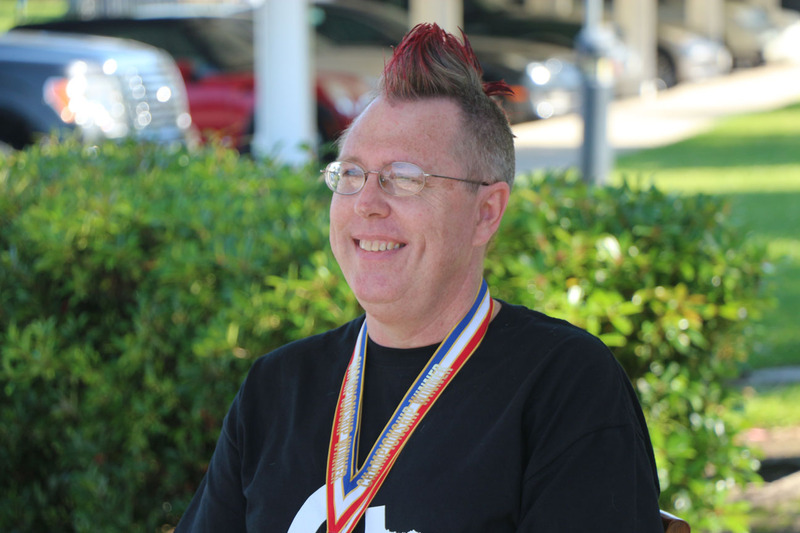 Andrew is a true journeyman of Texas robotics teams. He has been on four different teams in his time in FRC, helping to start two of them. 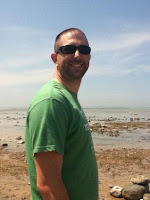 He also is one of the key players in the Texas VEX Robotics community from it's inception in 2008. Just this past weekend he was the MC at Texas Robot Roundup. We asked him about his favorite team memory, his robotics experience, his education, and much more. I started my FIRST career in high school in 2001 for Team 624 CRyptonite in Katy, Texas. I was more interested in playing music and working on cars more than robots through most of high school. My senior year, the 2003 Stack Attack season ignited my passion for robotics and ultimately to study electrical engineering. Before I started Electrical Engineering at UT-Austin in 2003, I started working on robotics projects with the Robotics club at UT-Austin. I was enamored with the idea of designing PCB boards and 3D parts. By my sophomore year, I assumed a leadership role of the robotics club at UT. I started the original club paperwork and re-branded into its current form, RAS. I was also fortunate to be accepted into the NASA-JSC Co-op program. Through this experience I was able to mentor with the Robonauts in 2005, Chainzilla. After getting another dose of FRC, I was ready to start a FIRST team in Austin. I decided to channel the power of college mentors from the UT-Austin RAS club. I randomly met a Chemistry teacher named John Sperry and we decided to form a FIRST team called the AusTin Cans 2158. Fortunately, RAS had a few great young college mentors Richard McClellan and David Yanoshak to help start the team. I went straight into graduate school at Rice University to do research on pipe inspection robots. I founded the Rice Robotics Club (RRC) and then received an interesting phone call from Lucia Sevcik about starting up a new FRC team at Lamar High School. After two quick meetings at the school, the DiscoBots, Team 2587 began their rookie year in 2008. After that, I got another phone call from Jason Morrella (I should probably stop answering my phone), and then the DiscoBots established the 1st VEX event in Texas called Houston VEX. Around 2011, I finished graduate school at Rice with two masters, one in computer science on swarm robots and another in mechanical engineering on pipe inspection robots. I now have joined a startup company called Sparx Engineering doing rapid prototyping for the petroleum & medical industries. Its been more than 10 years of FIRST and I'm still having fun. I would have to say the story I tell my kids over and over again is the DiscoBots 2009 Lone Star Regional. This was our 2nd year and we had a solid robot. The robot didn't look elegant but it worked well and the kids really understood the Lunacy strategy. Our student coach, Lalo Torres posted up a 20 page strategy guide to Lunacy on Chief Delphi. We seeded 5th in the rankings and urged the 4th ranked Robonauts to pick our team. 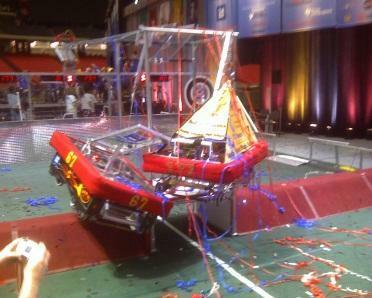 Team 118 ended up picking 1801 and the DiscoBots picked 1421 and 704. The quarter-final match between the Robonauts and DiscoBots was fierce and ultimately that was our biggest hurdle to winning the event. From the quarter-finals, we went on to win the regional and performed well at championship. I tell this story to remind the kids every year when the Robonauts release an awesome video, that robustness & strategy can sometimes defeat elegance & beauty! Encore - Wildstang 2004, that robot really inspired me and it has a great video! I work out of the Southfork House from the TV Show Dallas. It was built as a large model home for the Southfork community in Houston... quite odd... However, it came on the market and Sparx Engineering now operates out of the Southfork ranch. We have a powder printer, machine shop, & circuit board build-up tools. As a graduate student I worked in Ryon Lab at Rice University. 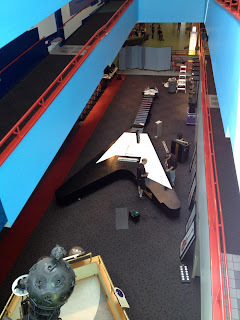 The DiscoBots were fortunate to obtain a section of the floorspace for FRC activities. Ryon Lab is a 5 story building with a 20 ton crane and a huge opening in the middle of the building for all sorts of experiments. I’ve seen people fly aerial vehicles, launch mini-bots, and do interesting drop tests from 3-stories. Grooveshark: Usually making a playlist for every music show or festival I’ve attended. We shifted to doing Tuesday, Thursday, and Saturday as a full team schedule in 2013. That schedule worked well for the majority of the team. We still had a sub-team of CAD & designers that would be discussing online everyday throughout build season. Filtering and consuming timely information! My multiple RSS readers, email filters, alert messages, and web productivity apps. Allen Gregory is probably the only person who can information challenge me! NASA mission controller Gene Kranz’s “Failure is not an option” which I think of often in a six-week build season and projects with tight schedules. However, in some cases, failure is definitely an option and it will be a learning experience. Playing racing games on a tablet. I don’t really play any other types of games, but if I do, I’m racing! Dr. Rob Ambrose from the Robonauts and the original creator of the Robonaut! I re-built an engine/interior/panels for 1984 camaro in high school. I bought the car for $500 at a junkyard! Sold it for $2500 when I graduated high school. For our first mentor outside of our home state of Texas, we bring you the coach of one of the most successful FRC teams of all time. Adam Freeman joined the HOT Team (FRC#67) during their Hall of Fame 2005 season. He has been a crucial mentor of the team that has won three World Championships and three Michigan State Championships. Let's hear from him on some of his favorite designs, what he works on at GM, and how HOT has been so successful for so long. Hobbies: Tons…Robotics, Mountain Biking, Hunting, Motocross, Fast Cars, Sports (anything but golf). I’m honored to be selected as one of the first people for this project. I am always interested in learning more about the people in this community. I’m not sure there’s anything that special about me, but we’ll see what happens when I answer the questions. - The upper structure and arm in 2008. - The intake, ball delivery, and shooter in 2009. - 2010’s utility shifter that pulled back the kicker and powered the panel that the gas strut hanger was attached too. - 2011’s second stage of the elevator lift - claw grabber and short arm that hung the tubes. Also worked on part of the mini-bot chassis and developed our window motor shifter. - Utility arm, gearbox, ball collection, and shifter in 2012. - 2013’s shooter and shooter rotation mechanism. From a competition standpoint: I was assistant coach and lead advanced scout from 2005-2008. I advised our drive coach on upcoming matches (opponents and partners), reviewed previous match strategy and execution, and was responsible for developing our pick list and selecting alliance partners. This job basically consisted of watching every match of a competition and knowing every team better than they know themselves. From a scouting philosophy I usually rely on my “gut” and subjective rating of a team more so than a data driven decision. I used data such as OPR, CCWM, points, and win/loss to bolster my decisions. In 2009, I was named as drive coach replacing our previous drive coach that retired from GM and the team. I've been privileged enough to keep the drive coach position every year since. I am very competitive. As a coach, I get nervous before each match…always worrying about what might happen with the robot, drivers, or what we may experience from our partners or the other alliance. As soon as autonomous ends I get very “excitable” out there. I pace, I yell, I point, I jump up and down, I cheer, I tell other teams what to do or don’t do. And, I’m sure I go over the line occasionally (at least a couple times a season). From a coaching strategy standpoint, I try to keep things as simple as possible. As a 99% offensive team, my strategies usually revolve around figuring out how we score as many points as possible, and I don’t worry much about how to slow down our opponents. Basically, if we are sacrificing our offense to stop theirs, it’s not really a strategy I would choose. Overall I try to figure out the simplest plan for us to maximize our strengths (or the strengths of the best team on our alliance), then fit our other alliance partners in around that, either as secondary offense or as defenders. I moved out to the Milford Proving Grounds (MPG) in 2004. One of my co-workers at the time is the Chief Engineer (Jim Meyer) for the HOT Team. Since I was only recently married and had no kids (at the time), he thought it would be a good idea for me to help him out with the HOT team, starting in 2005. Little did I know what effect it would have on my life, one of the best decisions I have ever made. I joined the team not knowing anything about the mission of FIRST. I was just impressed with the robots and the opportunity to design some cool stuff that would actually be made and used on the robot. That first season was interesting. I had no idea what it meant to be a “mentor”. I worked exclusively either by myself or with Jim during the build season. I was almost just like a freshmen student… no clue what to do and figured everyone knew more than I did. Throughout the season, I observed the students and learned more about them. Getting to know both the students and the mentor during the season, it was just such a great bunch of people to work with. Take the people, combine that with the opportunity to design cool stuff, and add in the competition aspect…I was hooked. Some times are easier than other, but I still love doing this no matter how hard it gets. I am a Supervisor for GM’s RedX Problem Solving Team at the MPG. I get to manage 10 of the most elite problem solvers in the world! I started at GM directly out of College in 2002. I was lucky enough to hire in to the Air Induction group that I intern with. I was the Design Responsible Engineer for the Air Induction Systems for the 2002 Camaro, 2003 XLR, and 2005 Corvette. In 2004 I was transferred to the MPG, in to the Product Usage and Measurement Group. This is where I worked with our Chief Engineer. In this group we created the durability tests that GM uses test durability and validate our vehicle designs. In 2006 I switched groups to the RedX group as a problem solver. This group works on any type of Warranty, Development, Pre-production, Assembly Plant, etc… issue that GM is having an issue with. RedX is a problem solving methodology of root cause convergence based on strategy and contrast. Using this problem solving methodology we work on any part of a vehicle from “Bumper to Bumper”. I worked as a problem solver from 2006 -2009. In 2010 I was promoted to Supervisor. Either as problem solver or supervisor, I have had the opportunity to work on some of GM’s most important issues. This is a very cool job. We have our own 6 hoist garage, full of tools. We have basically any type of measurement equipment we need (accelerometers, strain gauges, thermo-couples, etc…). We have a lab setup with a high powered microscope….and we have two talented technicians that can basically build any fixture we need. If I had to describe it quickly, we are like a CSI group for automotive issues. We work backwards from a specific customer complaint or forensics of an issue, all the way back to the specific feature or process that caused the issue. Hmm… this is a tough one, there are so many to choose from. I don’t really have an inspiring student related story, so I guess I’ll tell the story of what happened after we won the 2010 Championship. So around 6:45pm the last match ends, scores are announced, confetti falls all over… with our robot and 177’s robot hanging on the tower. We all are celebrating out on the field, just like everyone does each year. We keep hearing that we might have a chance to be on CNN that night, with an interview of the winners. The on field celebration ends around 7:45pm. During the celebration, we were notified and arrangements were made for students and robots to be on CNN. Students were supposed to be on around 10pm. Awesome! So we returned to pits for teardown. 294 was arranging with the shipping company about how to get the robots back in the crate after the interview. There was some difficulty with getting the robots back in the crates afterward, since the I believe the convention center was supposed to be closed around 10pm. Someone decided no robots were needed. So, all three robots were crated up. We arrive at the CNN food court around 9pm with the students. As we are sitting there PR Rep comes to us and tells us the decision from CNN is that robots will be needed around 9:30pm, for a 10pm spot. After a brief discussion with her that it’s virtually impossible to have that accomplished, since the robots are crated up about a mile away… 294 decides they will attempt to get their robot out of the crate. We decide if their robot is going to be on national TV, so is ours! 177 decides the same thing. 67, 294, 177 rush to pits to un-crate robots. If you remember the distance from the CNN center to the pits was at least one mile. Most of us just sprinted that distance to get to the robots as quickly as possible. 294 is the only team with any tools available. They un-crate their robot and hand the tools to us. We arrange for our van to transport our robot and 294’s to the CNN center. Robots are turned sideways and stuffed into the seats of a 12 passenger van. 294 also re-assembles their crate and 177 carts their robot to CNN center. The robots arrive around 10pm. 294's robot is stacked on top of our robot. The robots are pushed into the CNN center, up one elevator, over and up another, through the CNN offices, and into the studio. The students and robots appear on the air around 10:30pm. After that, the process was reversed, robots stuffed in van and carted back to pits, crated up, and we were out of the pits around 11-11:30pm. At the time, getting those robots on TV was almost as incredible as the upset we had over 1114, 469, and 2041. Our three teams really had awesome teamwork! I really love seeing any of the truly great teams. 254’s style and performance are top of the line. The west coast style with the fully power coated CNC parts and the custom gear boxes are really inspiring to me. 148’s sheet metal designs are incredible. 118, 233, 1538, etc… these guys aren’t just building robots; they are really like works of art. But, as a former scout and coach what I really like is seeing the best machines perform on the field. Hands down, the 2008 Simbotics – Simbot SS is my favorite robot that I didn't build. With me starting in 2005, I didn't get a chance to see the dominant machines from Beatty or Chief Delphi. Simbot SS was the first really dominant machine that I saw in FIRST. Performance wise, it was basically 2x as good as the next best machine that year. The cool thing about it was that there really wasn't anything special about it. 75% of teams could have built that machine, if they thought of it. The combination of the roller claw and launcher was genius. Between the ingenious design and the incredible driving performance, they were awesome! Other than that, 469 – 2010 with the ball re-director was a really amazing machine that would have been cool to say I helped come up with that idea. I’m more of an “in the box” guy, so I doubt I ever would have thought of it. Not really much that I couldn’t live without from an apps/software/tools standpoint. I have a laptop and phone for work, there’s nothing really special about either one of them. I don’t have an iPhone or anything like that. We have an internal GM application that I use for project tracking. For robotics we use AutoCAD for 95% of our robot designs. I’m sure this still blows peoples mind, but that just the software that we feel comfortable using. Majority of our parts are water-jet sheet metal, so we need a 2D file to send to the water-jet anyways. I will use Solidworks after the parts are designed to see how everything fits together before I send the parts to the machine shop. At home or other times, all I need is a TV and a computer with internet access. 99% of my evenings are spent watching TV and playing online for the hour or so of free time I have between when my kids go to bed and when I go to sleep. Here’s a picture of my workspace at work and our RedX Garage. My workspace is nothing really special…a desk, some books, personal items, and about a 20” screen. I basically sit in a back room off the garage with two of my co-workers. We are surrounded by a bunch of shelves filled with measurement equipment and tools. For our robotics build workspace, we utilize space all over Building 40 at the MPG for robotics activities. Programming sets up in one conference room, Chairman’s in different conference room. For the design team, we use a small conference room with a projector so we can all review any designs that need to be shown. For assembling the robot, GM has given us a small room to work in and keep all our robotics related equipment. As you can see from the pictures, it’s not really that big when we pack all our stuff in. The robot is typically assembled on the table. It gets pretty cramped in there when everyone is trying to get their parts on the machine. The more impressive space is the machine shop, where we have access to 95% of the machines. We basically have as many lathes and mills as we need. We also have a water-jet that we use for more parts than any other machine in the shop. For practice space, we setup a small field to use in the garage attached to the building. It’s about full length, but only about 2/3rd the width of a real field. We have to setup and tear it down every practice day, since we set it up in the drive alley of the garage. I don’t really listen to music while I work. If I do listen to something, I’ll usually listen to a local radio station or XM. I’d say I spend most of my time listening to local sports talk radio or one of the ESPN shows on XM. From a music perspective I listen to pretty much any type of music, from alternative rock to Top 20 hits, whatever seems right at the time. As a team, we officially meet Tuesdays and Thursdays from 4:30 – 7:30pm and Saturdays 8am-4pm. Now, that does not mean that no other FIRST related work is performed outside of those times. I do all my design work on my work computer, so I almost always have my AutoCAD drawing or Solidworks model open anytime my computer is on. I am also always thinking about how to create a design or how to fix an issue we are having throughout the season. Typically, I will work on my design stuff every day at lunch time during the build season. I will also spend my evenings playing around on designing parts while watching TV. So in the end, I’m not sure how much time is actually spent working on the design. But I know that the time spent thinking about the robot is 24/7. I pretty much spend every spare second working on or thinking about FIRST robotics from Kickoff thru at least our first district event. After that, it really depends on how well we did and what we need to improve on. Not really sure. I’m usually pretty good as most things, but I doubt I am better than everyone else at any particular everyday task. I don’t think anyone has given me any great advice that was really profound for me specifically. I’d have to say the best advice I have ever heard is to “do what you love”. Now I don’t think that means that you only do things that you love to do or that you quit your job immediately and start doing some other thing that you really love to do, that doesn’t pay your bills. But, you should enjoy your work. You should take time to find out what your interests are and determine how you can convert that into a career. If you can’t make what you love to do into a career, make sure you don’t sacrifice it as a hobby. Buffalo Wild Wings Boneless Buffalo Wings! Our core group of engineering mentors have a standing lunch date every week at Buffalo Wild Wings. The rest of the guys would probably switch up restaurants every week…and usually do when I’m not available. Fill in the blank. I'd love to see Dan Kimura (469) answer these same questions. Anything else you want people to know about you? Nope. Probably the one I tell the most. One year, my students and I brought our fire-fighting robots and course to Sci:\\Tech, our local science fair and exposition. I had modified one of the robots so it was radio control and had a camera mounted to give the driver a robot’s eye view. A young kid, maybe eleven or twelve years old, spent the day hanging around our booth, asking questions and driving the robot. It was at that demonstration that he decided to apply to the Academy so he could do something cool like robotics. As an Academy junior, he joins Team 1477 and helps us to our first ever win, at the Lone Star Regional. 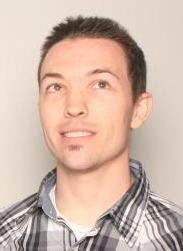 He still works with the team, though now as the programming and media mentor. Rayne was in St. Louis this past April when we won the FRC World Championship along with Team 1241 and Team 610. The best part of all this is that he and I have become good friends. His brother will be a senior next year and co-captain of the team. His mother and father are two of our biggest supporters, helping as mentors, chaperones, and cooks, even loaning a lake house for our end-of-season party. Now everyone should take a moment to wipe that tear from your eye. Fill in the blank. I'd love to see Kris Verdeyen (118) or Lucien Junkin (118) answer these same questions.